So one thing we’ve talked about before I know is this idea of dispersion. So you have the average of how expensive the market is and then you have sort of this bell curve around it. Most expensive and cheapest. And how wide is the bell curve when we’re looking at it. So let’s say the average stock or median, whichever one you kinda want to use is at today maybe 25 let’s say times earnings. But that cheapest 10% out on the tail is down at maybe like 12 or so. Whereas in 2000, 99, 2000, 2001, you had a very very expensive average at like say 35 times earnings but the cheapest part was at seven or eight times earnings. Because it was this story of brick and mortar versus new economy. So everyone sold off the brick and mortar stuff and you could get some great assets, great businesses for super cheap at that time. You had a very wide dispersion between cheap and average and cheap and expensive. Today I think everything’s kinda been squished together. I don’t know exactly why that is. I could put my tinfoil hat on and say that it’s because of the Fed or liquidity sloshing around or indexation or whatever. I mean I think it’s a confluence of all those factors but the fact is that the bell curve is not that spread out right now and it’s relatively expensive. So there’s like nowhere to hide basically. I mean this is what I think Montier was talking about when he was talking about financial repression. There’s just basically nowhere to hide of anything that looks cheap. – But having said all that yeah there’s so many great cap allocators out there. You know obviously Buffett and Munger are the gold standard at Berkshire. But you have so many really smart people who are doing this right now. It’s almost not even worth mentioning them by name there’s so many. But what is very interesting about them and I think is really well highlighted in William Thorndike’s book The Outsiders, is that all these people are willing to think for themselves and go against the crowd potentially. That’s where, one of my goals of my book was to potentially inspire people who read it to have the confidence to make the decision for themselves. I would love if someone read this book and decided you know what I can figure this out. None of it is rocket science right? I mean there’s no higher math required. It’s all just being willing to sort of stand on your own intellectual two feet and figure out if what I’m doing makes sense logically. And you know it’s very difficult for some people to do that because it does take it’s own emotional toll for sure. Anybody who’s done investing really in anything, especially if they’ve gone a little bit contrarian knows how painful that can be right? – That’s perfect. All right you look great. Are you ready? – I would have done my hair if I’d known I was gonna be on TV. – Well you look good, all right. – Yeah go for it. 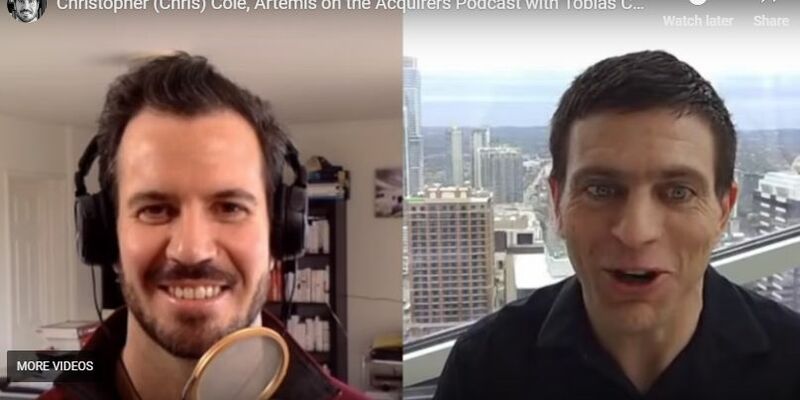 – Hi I’m Tobias Carlisle and this is the Acquirers podcast. My guest today is Jake Taylor. He’s written a fantastic new book and he’s got a call from Charlie Munger. We’re gonna talk to him in just a few moments. – Jake has written the hottest book on global Wall Street right now. It’s called The Rebel Allocator. It’s about a fictionalized Jake Taylor meeting a fictionalized Warren Buffett. And Charlie Munger loved it so much that he called Jacob to talk about it. And Jake, establishing dominance something like that refused to take the call or screened the call. So tell us what happened. 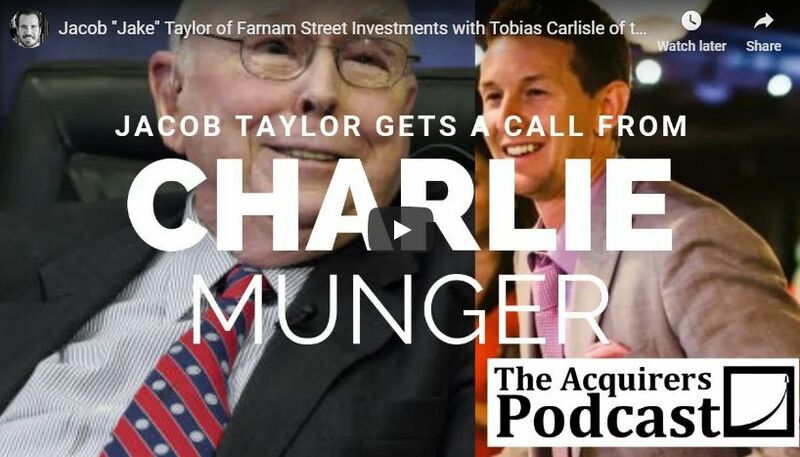 Charlie Munger called up, you didn’t want to take his call. You called him back. – Well you know I only took this call because it was the same 310 area code and I thought it might have been Charlie so. – No I’m just teasing. No no I don’t answer the phone at the office and my assistance answered it and she happened to be working from home that day. And she called me and said “you’re never gonna believe it “but Charlie Munger called “and he wants you to call him back”. And I was like all right don’t mess with me all right. I’m not in the mood for that kind of thing. No here’s his number. So then I’m like okay and I kinda sat there for a second like what am I gonna say? I don’t even know. What do you tell God when he calls, right? So I dialed the number and a woman answers. I believe it’s his daughter or daughter in law or something like that. She’s like Munger residence. And I’m like uh is Charlie there? He called and wanted me to call him back. Like I’m dumbfounded I don’t even know what to say. And she’s like hold on a second. And then two seconds later Charlie’s on and he’s talking about my book with me. And I’m just sitting there wondering is this real life or not? – I’ve heard him say at different DJ co meetings and other things like that people send him so many books. Do you know why he plucked that out of the pile, why he read it? He’s read it cover to cover and loved it. – I mean that is what he said. He said, “I started reading it and before I knew it, “I’d read the whole damn thing.” I was like wow that’s amazing. And I don’t know why this particular book grabbed him. I sent it, it was around the holidays so maybe I caught him at a soft weak moment or something. And he wanted to read something that was a little bit different but I don’t know I couldn’t tell you. I don’t have a good hypothesis of why he would ever read my little book that I sent him. – So what did you talk about, can you divulge? – Well he was adamant that I figure out how to get it made into a movie. And I was like wow I never really thought about that before. I had been researching during the writing process, I wanted to tell a good story. I knew that much and that led me to doing research actually on screenplay writing. Like how do you craft together a story with characters that arc and high points and low points and emotion. How do you bring that into a story? But I never really considered making a movie out of it. It was more like let me just steal some stuff from Hollywood that I can use to craft my own little story. And yeah he basically was like you should figure out how to get this made into a movie. And I was like okay. And he even had some specific character ideas. – Oh yeah, for sure. Everybody’s a critic right? But I was like yes sir. I just didn’t want to say anything stupid and make him hang up on me. So I just was writing everything down that he was saying and oh good point Charlie. What do you think about this? I tried to ask him good questions. – So speaking of that, so Wall Street Journal. Jason Zweig who writes The Intelligent Investor column and he’s written the introduction to The Intelligent Investor and sort of legendary Wall Street Journal columnist who’s had a lot of the value investing events around the place. He picked up on the story and he got in contact too. And I didn’t even know what he was talking about at first like what do you mean? He’s like, “yeah your Charlie story.” Oh okay yeah I mean how can I help? And he asked me a bunch of questions and background. And he apparently called Charlie to kinda verify everything and make sure I wasn’t full of bologna which could have been true. Yeah so he did a write up on it, talked about the book a little bit. And mostly it was about Charlie and how amazing it is that this guys who’s 95 years old still has time to reach out and make somebody’s day. – And that was pretty special and he was completely right. – It’s a cool book, it’s an unusual kinda approach to, it’s a dry subject capital allocation. And you stuck it right there in the title which is impressive. You could have scared a lot of people away with that Rebel Allocator. Rebel’s great, allocator scary. The way that you’ve sort of taken what’s a pretty complicated dry subject and made it a little bit more interesting. It’s to write it in this narrative style where you’ve got characters and they interact. Do you wanna tell us a little bit about the story and then we’ll dive into the lessons from the capital allocation? – Yeah, I mean when I started writing this book and you know this first hand because you’ve been a really good friend on this project. Especially in helping me to figure out what the hell I’m doing. I’ve probably sent you like 10 different book proposals of things that didn’t end up being this book. And it’s been all over the place. – At one point you were probably like what the hell’s this guy even doing, he’s all over the place. – I’m glad you got it all the way to the end. It’s a huge effort to get it done. – Yeah for sure. So anyway long story short is the book originally started out as a typical non-fiction. 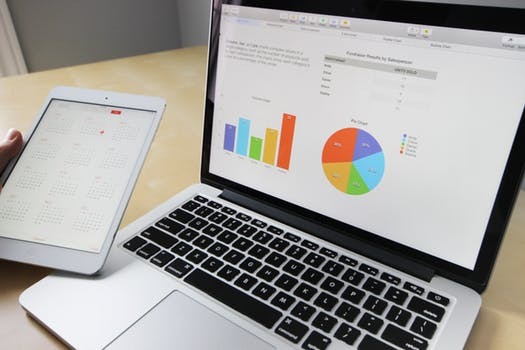 You know I noticed that I would see a lot of, being an investor I would see a lot of capital allocation decisions and that was a lot of what I spend my time doing is assessing management like how are they doing? If I was put in their position, would I have made the same moves? And when I say cap allocation I don’t just mean dividends or buy backs ’cause that’s kinda how it gets lumped a little bit. I mean everything from paper clips on up to buy backs. It really is what does this business spend it’s money on? So anyway I started out working on trying to solve this problem of seeing a lot of bad decisions made by people who I knew were otherwise very intelligent. When I went to business school I didn’t really get sort of a holistic explanation for a practitioner of how do we do cap allocation? You get little bits and pieces of it all over the place but no one really put it all together into a big pile for it and made it so that you could process the whole thing and then make better decisions. So anyway I had this non fiction book in my mind and I had a book proposal, I had a couple book offers. But something about it just didn’t feel right. Like you said it’s boring, potentially very boring subject. And also around that time I felt like I was just getting a lot of little nudges from the universe that you have to tell a story if you want it to have any chance of a lasting impact. And I actually lost a close friend who was my age around that same time. It made me reevaluate really for me it was sort of mortality gut check of if this book came out and I was to die six months from now. That non fiction book, no one would care. Like it would have been over and done with. But if I could tell a story there’s a chance that it would be much more interesting and actually last and be a better example of good work for my, I have two sons who are 10 and 7 years old. And I thought that can’t be my legacy is like this dry, boring book that I would never wanna read. No one would wanna read unless someone forced them to read it. So anyway all of these things pushed me towards telling a story. And that’s when I basically threw everything I had been working on in the dumpster and started over from scratch trying to tell this story. And it’s basically a coming of age story of this college grad who through a little bit of luck meets a Warren Buffett Charlie Munger type character who teaches him through a bunch of interactions good cap allocation all the way down from basically like microeconomics up through if you were running a Fortune 100 company. That was what I tried to accomplish. And all along hopefully applying a little bit of a veneer of appreciating how capitalism makes our lives better and how capital allocators are kinda the grease in the capitalist system that make all of our wants and needs get met by capitalism. So it’s kind of a crazy and it sounds very chaotic to try to do all these things with one book but I don’t know that’s just kinda where I ended up and I just kept pushing through. – Well it works really well and that’s probably why Charlie reached out. I think one of the problems with capital allocation is that I think value investors are really the only ones who think about it because anybody else who’s come from business school who’s learned efficient markets. That’s not really something that’s ever considered. It’s not sensible to that framework. It’s only value investors who think about this is making some excess returns. What are they gonna do with those excess returns. Is it gonna grow the business? – Should we even grow the business at all? You sort of deal with some of those questions in the book. Do you see anybody out there today who you thinks doing a very good job with capital allocation and why do you think they’re doing such a good job? – Oh no there’s scores of good CEO’s and really actually I think the CEO’s probably get too much credit. Based on my experience of serving on a board for a private energy consulting company and getting a little bit more behind the scenes look at some corporations through interactions. I think the CEO’s, it’s sort of like being the President of U.S. You get the blame for the economy, anything that’s happening and you don’t deserve all of it. Like you inherit a lot of things. There’s a lot of inertia to everything that you have to kind of work through so I think the CEO’s get too much credit when it’s good and they get too much blame when it’s bad. But having said all that yeah there’s so many great cap allocators out there. You know obviously Buffett and Munger are the gold standard at Berkshire. But you have so many really smart people who are doing this right now. It’s almost not even worth mentioning them by name there’s so many. But what is very interesting about them and I think is really well high lighted in William Thorndike’s book The Outsiders, is that all these people are willing to think for themselves and go against the crowd potentially. And that’s where, one of my goals of my book was to potentially inspire people who read it to have the confidence to make the decision for themselves. I would love if someone read this book and decided you know what I can figure this out. And none of it is rocket science right? I mean there’s no higher math required. It’s all just being willing to sort of stand on your own intellectual two feet and figure out if what I’m doing makes sense logically. And you know it’s very difficult for some people to do that because it does take it’s own emotional toll for sure. Anybody who’s done investing really in anything, especially if they’ve gone a little bit contrarian knows how painful that can be right? – It sort of breaks along two lines and I think they’re both kind of odd lines. One of them is this idea that buy backs and dividends are somehow hurting workers in the business. So that’s a political one that I probably don’t wanna touch. But the other one is that all buy backs are bad from an investment standpoint. And I have some sympathy for this view just because in the aggregate the bulk of buy backs seem to happen at the very peak of the market. And then when the market draws down and the equity gets a lot cheaper and you think this would be a really good time to do a lot of buy backs. That’s when the buybacks seem to dry up. – Nothing happens, yeah. That’s right. If we look at sort of the base rate of buy backs. They are done in inopportune time and they’re done in a herd like mentality. And part of that is a little bit understandable given that theoretically a bull market everyone’s feeling good about the economy. Everyone is kinda drawing straight lines up and to the right for their business, for their stock price. So when that looks like all systems go like okay maybe I should buy back right now cause it’s cheap compared to what it’s gonna be in five years cause look how it’s gone up for the last five years. Well reversion of the mene is a very difficult thing to avoid, although we seem to be doing a hell of a job right now. But I think it’s kinda hard to blame them a little bit in some instances. In my book I tried to give a couple outs for that for a CEO making that decision on buy backs. First of all one of the things that I kinda borrowed from Ben Graham actually was thinking more about your share holders as business partners and not so much as this group that you kinda have to try to keep happy. And throw a little dividend at them to keep the Natives from getting restless. One of the things I recommended through the character was that at a minimum a company should be willing to do buy backs at one times price to book if it ever gets down there. And the point being for that is that if you have a partner or a share holder who needs liquidity. I think you’re doing them a good service by providing them at least accounting value for the company. Granted if everybody showed up and wanted to sell at one time, maybe we couldn’t meet price to book at one at that point. Maybe it would be drowned and we wouldn’t have the cash to do it. But if someone, you don’t know their financial situation and if you treat them like a partner and you want to take care of them. You should at least give them book value for their company. I think that’s a very noble thing that capitalism can do. Now let’s say that you’re a CEO and you don’t know what your company is worth. Which first of all a little bit of shame on you because if anybody knows what a company is worth it should be the CEO. However, let’s say you don’t know. One option is to just dollar cost average. Basically buy back no matter what. Sometimes you’re gonna be wrong when the price is too high and you’re going to hurt your remaining shareholders by buying back at too expensive price. But you’re gonna benefit your departing shareholders. Other times the price may be low and you you’ll benefit the remaining shareholders and hurt the outgoing shareholders. But I think the CEO should think about both remaining incoming, outgoing shareholders as business partners as much as possible and try to treat everyone fairly. A little bit more of a holistic kinda stakeholder view of it and not so much how do I take advantage when my stock price is ultra low and just plow into buy backs. I understand as an investor who’s gonna be holding onto that through the buyback, I love that. But at the same time, you are taking advantage of one of the partners in that situation. And I think that shouldn’t be lost. – So you’re an investor. You’re a value investor and you run a firm in Sacramento and Folsom. The firm’s called Farnam Street Investments. What’s the derivation of the name. What does that come from? – Well I was sitting in 2009 in Omaha trying to launch a fund and come up with a name for it. And I didn’t want it to be like Taylor Capital Management or you know I don’t know. That just seemed kinda grandiose to me. I’m sitting there and I see Farnam Street as the address like one of the street signs and I knew that both Berkshire Hathaway’s headquarters and Warren Buffetts’ house are on Farnam Street, are on the same street. And they’re like three miles apart or something. So it just clicked for me like what about Farnam Street as a name. And that’s how it happened. And then of course the Farnam Street blog came along a little bit after that. Credit to Shane, he’s done a hell of a lot more with the name than I have. – It’s good marketing for you too. – Well we do get pretty regular calls like hey is Shane there? Oh you’re looking for the Farnam Street blog. This is. – This is the wrong Farnam Street I’m sorry. I know it’s disappointing for you but Shane doesn’t work here. – So what’s your investment strategy there? It’s value investing but I always say value investing’s a very broad church. You’ve got the franchise guys at one end and the very deep values, special situations. Lots of different ways that that philosophy can be expressed so what do you guys do? – Well basically I’m looking for things that I can understand that seems like I’m getting a good deal. And I don’t like to pigeon hole myself into one specific kinda box or flavor of value. So sometimes I’m buying cheap assets. I’m a low price to book. Sometimes I’m buying cheap cash flow or earnings or an EV to EBIT type of thing. And it’s all stuff that’s cheap now. And I’m looking for reversion to the mean there. Sometimes I can see something that makes sense to me in two to three years. I can kinda get an idea of what it might be worth and it seems cheap and I have a pretty good idea that it might work out okay. And then that’s a potential investment. And sometimes it’s like actually just finding really good cap allocators and trusting that they’re gonna make the right decision over the next 15 or 20 years. And basically sort of outsourcing the investment to them. And letting them manage the capital through the conduit of a business instead of in my fund for instance. Go ahead. – Rather than what your, the price you pay becomes less relevant as you get out to those sort of time frames. – Yeah although I’m still a value guy and I have a hell of a hard time pulling the trigger on some of these. I know that I’m dumb for not just buying it and getting my 15% compounding that I know intrinsic values gonna be over 20 years. But I still have a really difficult time paying up sometimes for that cap allocation skill. Even though I know it’s one of the things that moves the needle the most over a long period of time. And I absolutely love it as a strategy for the anti frugality of it. When rough times comes along, these men and women are making moves to make their businesses more valuable. And they’re taking advantage of opportunities then. And they get up everyday working hard and hungry to make my investment worth more. So it is tough for me sometimes to pull the trigger. And I’m more like all right I’m gonna wait and I can’t wait for this to get cheap for some stupid reason and then I’m gonna load up on it. Or I’m gonna nibble and as it gets a little cheaper I’ll keep buying a little bit more. But you know it’s funny is I talked to, you know I’ve been going to the Berkshire Hathaway meetings now 11 or 12 years in a row. And I’ve kinda fallen in with this crowd of guys who are like the OGs of the Berkshire meeting. One guy was at the very first one and it was at some little dinner and it was him and seven other people sitting there with Buffet. So I’ve picked his brain over the years a lot and I asked him like God what was it like holding Berkshire from 1967 or something when he bought and he says, “you know what “everybody who’s that early has the same story. “We all didn’t buy enough and we all sold too soon.” And he’s talking about how his daughters graduation or college tuition was the most expensive thing that he’s ever, you know it was like a 12 million dollar education and the opportunity cost lost of having to sell his Berkshire in 1985 or whatever to pay for his daughter’s college. – Have you ever asked did they know at the time? Could they tell that Buffett was extraordinary at the time? – Yeah they knew he was special at that point. It was pretty obvious. But yeah nobody bought enough and everybody sold too soon. – In your firm when you invest are you investing domestically? Are you investing internationally, you go anywhere? – Yeah we go anywhere, we have two products if you will. One is the fund which is a copy of the Buffett partnership with the same pay for performance set up that he has or he had in the 50s and 60s. And the fund is really like a best ideas. It’s pretty highly concentrated. – What’s concentrated? What’s your definition of concentrated? – I mean there’s probably the highest position in there right now is about 25%. – At inception or that’s run a little bit? – That’s been added to and it keeps adding as it goes down. The actual capital deployed is probably even higher than that. – But yeah so that one is a little bit obviously more aggressive. Our other product if you will is doing separately managed accounts and those are a lot more retirement accounts. And those are also a lot more of people’s entire net worth. And that we manage a little bit more conservatively. And what ends up happening is the fund gets individual stock picks for the most part whereas the SMAs get more kind of an ETF version of that. A little more diversification. So for instance, 2011 Fukushima happens and Japan goes on crazy sale, just ridiculous. Like hard to imagine how cheap it was. So in the fund we’re buying individual Japanese securities for $0.25 on the dollar. Stuff that’s profitable, pays dividends but you’re getting crazy price to book value. Bought a bunch of those and now I think our dividend yield on that little basket ’cause we’ve just held onto them the whole time is like I don’t know. It’s like 50 Or 60 percent of our purchase price right because the businesses have improved and they’re paying more dividends now and our price was so stupid low. You just hold onto it and just keep cashing checks. So then the fund it’s individual securities like that. The SMAs that same idea got expressed through a Japanese small cap ETF. Not quite as cheap when you look through at all the companies within in but still pretty damn cheap. It’s a little bit sort of like rifle versus a shotgun approach between those two. – A little bit diversification helps, it tamps down a little bit of the volatility which is probably a good thing for the average investor to just keep them engaged and not freaking out which can happen if some of the swings in the fund are they’re wild so it’s good and bad. It’s the lumpy 15% versus the smoother 12 sorta argument. – Famous Buffett line, prefer the lumpy 15 to the smooth 12. – I would too but I don’t know if investors do honestly. The lumpy 15 may actually throw them off to the point where they don’t benefit from your service. I feel like sometimes giving them a smoother lower number potentially and I don’t do anything special. We’re still like crazy volatile compared to the average probably manager. Just because of the stuff that we buy but I do think that as far as a user experience goes for your investor, maybe absolute killing it returns that are super volatile are you’re not gonna bring them with you on the ride. They’re gonna get off the roller coaster before it’s over and they get to the finish line. You’ve not really done anyone any favors at that point. – So how did you discover value investing? How did you sort of learn and evolve and what was that path like? – Well a lot of people don’t know but I started out actually I ran the power grid for the state of California for a long time. Basically like an electrical engineer. And I wasn’t sure what I wanted to do when I grew up but this was a job I got right when I got out of college and I decided to go back and get my MBA just to keep my options open if I wanted to go into management at the energy company. And my first year there at UC Davis their MBA Program, I won this lottery to go back and have lunch with Warren Buffett. And I go back and obviously he’s amazing and knocks my socks off. And I come back and I’m trying to learn everything I can about him at that point. Often to the little bit of the detriment of my other school reading ’cause you know something had to give at that point and it ended up being my boring corporate finance books and stuff. Anyway, reading about Buffett for me it made perfect sense. It was like the inoculation thing he’s talked about where of course like why would you do this any other way. And I realized I’d been a value investor my whole life actually. I was always looking on Craigslist for deals of like try to buy something and maybe sell it for more later. You know arbitraging stuff. Probably my favorite, I was always a bargain shopper, I hated paying retail for anything. Probably my best story of that is that it was probably 2006 or 2007 I think and my wife wanted a Prius. And they were pretty expensive at that time relatively to other cars and you couldn’t find them hardly for a deal. And I was like god man what am I gonna do about this? I hate paying, I’m not gonna go down and buy a new one. Well so I’m cruising around on Craigslist and I find a Prius for about half the price of what the other ones are going but it has a salvage title. Which means it’s been in an accident. And it’s a very strong parallel actually to kinda value investing in that a lot of these companies that you find, they’ve had an accident. – But are they still drivable? So I bought that car after getting it checked out which is like doing your due diligence on the company, bringing it into a mechanic and they give it an all clear. And I think I paid like $12,000 for it. And those exact specs for a car, that was selling for probably $25,000 at that time. So I’m happy to say that we still have that car in the family. It’s still driving and it’s been what I don’t know 12 years of driving this thing now. And my amortization on this as far as miles driven or even years driven for the cost. I don’t know I’m down to $600 a year or something for this car and that’s how I’ve alway tried to live my life looking for bargains. So if I’m willing to go on Craigslist and find a car that’s salvage title, why would I not want a business that was also on sale for the same reason. And maybe the same potential outcome and like I said it just clicked for me right away. – It’s funny I agree. I’ve had the same experience and it’s in many different things and one of them is the buy backs. – Cause Buffett says work out the intrinsic value of the company. Do a buy back at a discount to the intrinsic value. Don’t do it at a premium to the intrinsic value and that just makes so much sense to me. You’re concentrating the intrinsic value increasing it in the existing shares when you do it at a discount. And diluting it in the remaining share holds when you do it at a premium. So I just have trouble thinking about it in any other way but that’s not a lot of people think about it in those terms. I’m sure most of the people who watch this who are value investors say of course how else would you think about it? But that’s not the common approach to it. – And I think you see those two expressions of it, those two arguments in the media right now about that. – Well you know what’s funny is I think that a lot of CEO’s that I’ve come across who are good cap allocators. They’ve actually just found it on their own through kinda logical trial and error empirical study. More so than, they wouldn’t even describe themselves as value investors. That doesn’t even mean anything to them. They just know well when my stock is cheap and I know it’s cheap right now because I understand this business, I do buy backs. And when it’s not I don’t do them. Or maybe even think about acquiring at that point because I have a pretty sound or strong currency if you will. 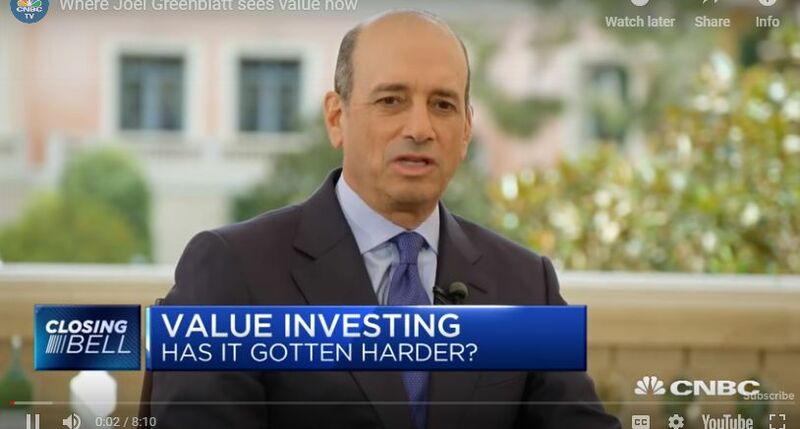 All that stuff is so intuitive to somebody who’s logical that to just even call it value investing is almost like I think Charlie said before that it’s almost redundant to say value investing because if you’re not getting a value then why the hell would you be doing it to begin with right? – Right. Well I think again if you’re in the value world a lot you forget that a lot of people are approaching it at a different way which is just I’m gonna buy because I think it’s gonna go up. – It’s gone up a lot, it’s gonna go up a lot more. I like Fang cause they’ve gone up a lot. – Yeah no you know what’s funny about that is I’ve reflected a little bit, so we started our fund in 2010. And a couple years before that I actually interned at another smaller value shop that my actual business partner now had started by himself. I think about when I found Buffett and when I got into all this stuff. Value had had just a crazy run from say 2000 to 2008. Just absolutely killed it. And in a lot of ways I should have probably been expecting reversion to the mene in value as a strategy. Because it can’t work all the time right? Otherwise everyone would do it and it would stop working. But basically I was like a value momo guy who found this and saw all this confirmation bias of how great this is. Duh, why can’t I do this? Like anybody can do this right, it works. Well then it just completely stops working. And it took me 10 years post getting into it to realize how ignorant I was going into it. Just what a dummy. – Well it’s very hard isn’t it. You’re sort of captive a little bit to the time that you start thinking about these things. If you’d looked at it in 2000 you might not have gone into it because even Buffett was getting the magazine covers saying he’s lost it. – And then for a period of early 2000s through to 2008 2009, just being long undervalued stocks. And not long short at all just long undervalued stocks. You sort of out preformed the market but you went up where the market was falling from 2000 and 2002 which is unusual. – Yeah that’s where reputations are made right. I mean when you’re up when the world is down. It doesn’t get any better than that right? – In 2010’s a very tough time to launch because it’s basically been that’s about the start date of value not really doing much. We’re at 2019, nine years later. It’s funny I get a lot of questions like does this stuff work? – No and it is I mean it’s a fair question. I mean obviously I’m way too much of a true believer to think it’s gonna stop working. Maybe even to my own detriment for sure. – I’m right there with you. – Yeah I know you are. I know we confirm our biases together. – But yeah I mean, I think, I honestly feel fortunate that when I see some of the other value managers who I really respect and I know are smart people and to see the clobbering that they’ve had over the last couple years especially. Not just under performance in a ripping market but going down hard when everyone else is going up. And huge AUM outflows. I think to myself by the grace of God there go I. 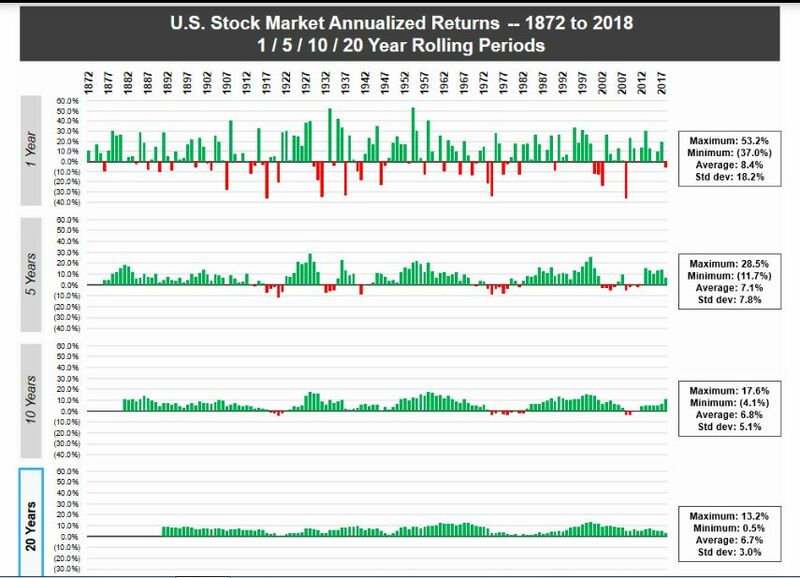 And I feel lucky that we’ve kept it pretty conservative with a lot of cash over the last too many years for a raging bull market. But at least that’s dampened any of the really heavy downward swings and things for us. And so yeah we’ve lost ground on a relative basis as far as the market leaving us behind. Actually more accurately catching up with us. We were doing better than the market for quite awhile and then it caught up with us and passed us in the last couple years. But if I had been fully long to the gills this whole time we would have been really hurting. And who knows what so I just feel lucky that we’ve kinda had the foot off the pedal during this time where things feel treacherous for a value investor. – It’s very hard, there are lots of big names. Einhorn has had a series of disastrous years and then last year I think he had a 25% down quarter, Q3 might have been 25% down. Ackman’s in the same boat. And these are guys who are billionaires who started investing in the early 2000’s or late 1990s which was in retrospect a pretty good time to launch but probably didn’t feel like a good time for value at the time. – So there’s a lot of big names who’ve been really hurt. You see a lot of big shops shutting down. – It’s felt that way for about five years. – Yeah exactly. I mean we’ve been trying to basically turn money away as much as we can. The fund has been closed for a couple years. I have not been too eager to take anyone’s money ’cause I don’t feel like I don’t have any good ideas right now for the most part. I got a few things I think are interesting but not enough to fill up a whole portfolio and feel like we’re really doing a good service for someone. In fact even we stopped charging on what we call excess cash in the retirement accounts. Just to try to lengthen everyone’s patience. Which is kinda a way of basically turning money away for awhile. I mean it hasn’t left the account yet but it’s left the revenue source for us. – Why has value had such a rough time do you think? – I think it’s a confluence of factors. I don’t know honestly. If I had to assign how much do I understand or not understand, I may be in 50% understanding. I think a big part of it has been the indexation and a absolute orphaning of some stocks that just get no, no one is paying attention to them now and they’ve just been just completely sold off in crazy ways. For instance one company that we own. It was clear as day that they were going to do a dual-class structure. – The cap index or the ETF. – Yeah whatever it is, whether it’s a mutual fund or an ETF is buying whatever price it is and buying more of the biggest and most expensive and creating it’s own momentum. And I don’t know how long that goes on and the other thing too I think that really has hurt has been the, I think a lot of the cheap, the really really cheap stuff has like let’s say the cheapest 10% of the market is not gotten that cheap. Even with this bifurcation. It still has only fallen to like kinda a little bit cheap on any historical basis. So one thing we’ve talked about before I know is this idea of dispersion. And so you have the average of how expensive the market is and then you have sort of this bell curve around it. Most experience and cheapest. And how wide is the bell curve when we’re looking at it. So let’s say the average stock or median, whichever one you kinda want to use is at I don’t know today maybe 25 let’s say times earnings. But that cheapest 10% out on the tail is down at I don’t know maybe like 12 or so. Whereas in 2000, 99, 2000, 2001, you had a very very expensive average at like say 35 times earnings but the cheapest part was at I don’t know seven or eight times earnings. And because it was this story of brick and mortar versus new economy. And so everyone sold off the brick and mortar stuff and you could get some great assets, great businesses for super cheap at that time. You had a very wide dispersion between cheap and average and cheap and expensive. And today I think everything’s kinda been squished together. I don’t know exactly why that is. I could put my tinfoil hat on and say that it’s because of the Fed or liquidity sloshing around or indexation or whatever. I mean I think it’s a confluence of all those factors but the fact is is that the bell curve is not that spread out right now and it’s relatively expensive. And so there’s like nowhere to hide basically. I mean this is what I think Montier was talking about when he was talking about financial repression. There’s just basically nowhere to hide of anything that looks cheap. – That’s James at GMO who wrote that article in 2015. – Yeah and it’s I don’t think it’s. – It’s persisted well beyond then. – Yeah no doubt he was early on that. – Well he said you’ve got this very difficult choice. You sort of have to survey the investment landscape and you have to make this decision if it’s either going to remind this way for 20 to 30 years. In which case you should be fully invested. – And trying to take advantage of it as much as you possibly can. Or there’s gonna be this sort of calamitous crash halfway through it or at any time in which case you don’t wanna be that long. And I don’t think he resolved. I don’t think he said, I think GMO has sort of tended towards the crash camp because of the way that they have managed their funds. But I don’t think that Montier resolved it in that piece ’cause I was looking for the answer and I couldn’t find it. – Yeah tell me what to do James. – It’s funny I mean he’s been a great investment philosopher and a value investment philosopher for a really long period of time now. I followed him when he was at Dresdner Kleinwort and then he moved onto somewhere else which escapes me now and I think a lot of people have read him over that period of time and it’s been a rough run for value investment philosophers too. – Yeah, no I think nothing has worked really. Whether you were talking about what you should be doing or you were actually doing it. Everything looked stupid. But that is a choice in this type of situation I think you’re going to look stupid and there’s no getting around it. I’ve heard it called maybe the bubble ultimatum You have to decide do you want to look stupid before the bubble and during it or do you wanna look stupid after it? But there’s no getting around it, You’re gonna look stupid at some point so it’s your choice. I’ve chosen to look stupid before so far. – It’s a very long bubble it’s sort of the late 1990’s was much deeper but much shorter and this has sort of been this shallow where you’re not quite keeping up but it goes on and on and on. – Yeah no it’s testing the patience but you know what I mean this probably should have been expected if you were a value investor in 2008 potentially of that it was gonna be hard sledding for awhile. – Just because it had been so popular. – And because it had attracted some assets. – Yeah and I think in hindsight now especially after seeing the amount of intervention that’s happened in the marketplace with all these QE’s and everyone, all the banks printing. And even the Bank of Japan owning what 75% of their stock market now. Swiss National Bank buying billions of dollars worth of companies out of thin air. Those kind of things, one of the things that you need as a value investor is for prices to come to you at some point. And if there’s sort of a Fed backstop or a central bank backstop there where the price never drifts down enough to you. Then you sort of get crowded out at that point and what are you supposed to do then when everything gets bought before your price level where you start to get interested in it. And I think we’ve seen that over the last several years. Even with crazy things that seem really bad happening in places. I follow the news mostly to sort of like ambulance chase looking for investment stuff. It’s like nothing happens when you look at the stock price of something and it’s like a real problem has happened. Or a natural disaster that you would think someone’s gonna be selling off for some reason right like we gotta get out of this. It’s been very rare that the market reflects any of the potential change in psychology that might have happened from some disaster. That seemed to happen more often in years past at least in my observation. I don’t know what do you think about that? – I think it’s very hard. I mean are the metrics wrong? So that’s one question I’m always asking myself is the way that you’re viewing these things wrong. And there are plenty of people who suggest that’s the case. One of them priced at book value has been historically kinda the academic gold standard for assessing value. – Yeah the Fama French. – And right and it’s just had it’s worst decade ever. I think it’s negative now for the decade. And then if you talk to like the O’Shaughessy guys have got some great research on negative equity impacting price to book value metrics. And they would say well it’s because price to book value isn’t that useful as a metric anymore. And there’s some suggestion it was never that useful as a metric but billions and billions of dollars have been invested on that basis. So that’s always a concern. I think one of the other ones is the interest rates. You know if you’re doing an evaluation, if you’re doing a DC, if you need a discount rate. – What’s the appropriate discount rate? Do you take the discount rate that the market’s offering you which is close to zero. – And assume that that’s the case over the 10 or 20 or 30 year investment horizon for your investment. Or do you assume some sort of mean reversion back to the historical mean which is closer to six percent. If you build that into your model that mean reversion versus a zero that’s there for 20 or 30 years, that’s a wildly different valuation. Six percent gets you a much lower valuation. – Yeah especially the terminal value on a lot of this. It’s like you can make it say whatever you want at that point. – Now I think the final thing that always concerns me is that the dot com argument was that these dot coms were just gonna take over the world and nobody was gonna be able to compete, that bricks and mortar just couldn’t compete. It’s not necessarily called a dot com. It’s not bland on the dot coms but it’s online sort of has got to that point where it does seem to be it doesn’t mean reverted. It just does seem to be taking over. So Amazon is an example of that. 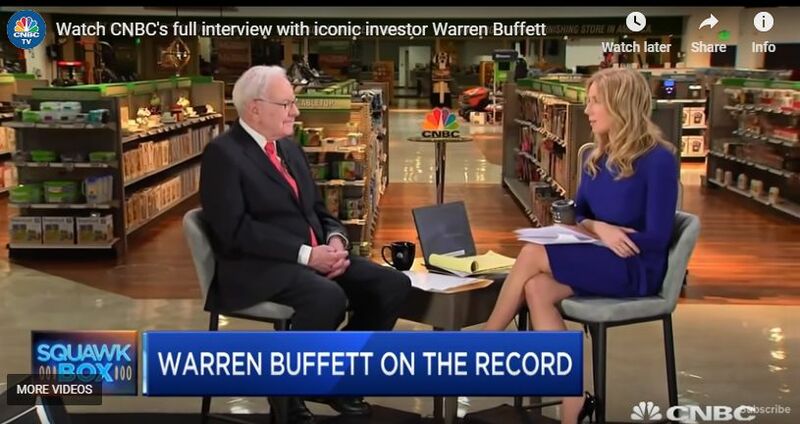 – Although I think Buffett would say retail has always been really hard. – If you had the not supermarket. If you had the department store. The department store beat out all of the small stores and the department store needed to be located at the tram intersection. So that’s always been the case. Bigger and better department stores have beaten out the less efficient and smaller department stores. And now we’ve got Amazon which is the biggest department store in the world. – Nobody’s gonna get bigger than Amazon. I’m gonna be made to look silly in like 50 years time. Somebody’s bigger than Amazon. – Oh yeah that won’t age well but okay. – So maybe it’s anti trust hasn’t been enforced. I don’t know, I’ve got lots and lots of theories why I’m under performing. – Yeah no I think there’s that’s a really interesting question to answer right now. A couple things happening. Well really it comes down to will earnings mean revert ever? Right now profit margins have been crazy high. Is this a new paradigm where the platform company is now because it’s sort of a winner take all you know dynamic, is it wildly profitable? And you can’t catch up and they just make all the money and earnings on text stay super high. And you are an idiot for not recognizing this like see change and having to go along with it. You know I’m a little sanguine about that as a thesis. I’m not so sure like everyone has thought that about everything like this is the new normal. This is new permanent. These companies are always gonna make money. Just buy it and hold it and forget about it. You know I’m not sure about that on any kind of very long term basis. But I could be wrong for a hell of a long time on that and much to a major detriment. So it’s very interesting to see value guys even getting sucked into buying you know Amazon or Netflix. Or anything that you look at it and gosh so much of the value is predicated on first of all them eventually stopping doing reinvestment and just printing money at that point right? I mean all these companies like I’m not completely sure that Amazon is not just here to punish producers in favor of consumers permanently. Like Bezos just wants to keep running rough shot over all of these producers and providers for the sake of us the consumer. And I mean that’s kind of been what every successful retail has done. Whether you were JC Penny with the catalog that was running rough shot over the Five and Dime that was there. Whether you were Sears with a giant department store that was squeezing manufacturers for better deals like aggregating the purchasing power of all of these consumers that you have. Or you’re Amazon and you’re crushing all the brick and mortar. It’s always for the benefit of the consumer. I don’t know though that that necessary means that Amazon’s gonna make all the money ever. Are they gonna be profitable at some point? I think that’s a big part of the thesis if you’re trying to put a DCF on what Amazon’s worth in 20 years. There has to be this big pile of money at the end of that and not have it be going into the next whatever thing that they’re doing. So I don’t know those are really tough questions to answer. Those go into my too hard pile and so I don’t have an investment in any of those kinds of things because I just don’t feel like I could wrap my mind around what that looks like. Even two five years from now I mean it’s really tough. – I agree, I think that has been the hardest question that I have encountered frequently regularly over and over again over the last nine or ten years. You look at something that is being beaten by Amazon and is this sort of a temporary thing or is Amazon gonna kill it? And if that happens enough then maybe I should be looking at Amazon. So then I look at Amazon and try to value Amazon and it’s extremely difficult to do because they run it purposefully at a sub normal profitability reinvesting in the business all the time. It’s a fantastic business. There’s no question it’s a very very good business. I have no idea what it’s worth. – Yeah and it maybe just be a destroyer of worlds and not necessarily for the benefit of the shareholder but for the benefit of maybe humanity. I think Bezos would probably make that argument maybe. – Excuse me. Just to go back to so you talked about dispersion before which is something we have discussed in the past. And that’s basically the difference between an undervalued cohort and the overvalued cohort or value and glamour that academics like to call them. – So you saw something different in 2000 and 2007. You contrasted those two. Do you wanna talk a little bit about that? – Yeah 2007 kinda similar to today was expensive by most valuation metrics. Less expensive than today but the tightness was higher in 2007 than ’99 2000. And I don’t know why exactly. Part of it was maybe the thesis just wasn’t there of like why should there be a call it ten percent of the market that’s super cheap. What would be the narrative that would drive that. To have everyone throw those away at any price and have everything else be expensive. I don’t know why exactly it was like that but the dispersion was much tighter in 2007. What’s been really interesting is to actually look at a lot of the value studies and how they’ve performed over these different time periods and what I would call opportunity sets of different eras. So if you look at let’s just take the magic formula as an example, something a lot of people are familiar with. Coming out of ’99, 2000, absolutely crushed. I mean just putting up obscene numbers, insanity. You get to 2007, 2008, 2009, 2010, maybe even all the way up to today now. I haven’t seen the last maybe year or so but it did not crush during that time period. And my hypothesis was perhaps that was because that cheapest ten percent, that rubber band was not really pulled too far away to really get a super cheap stock opportunity set to be a buyer then. So it’s really hard to validate all that for sure. The other problem is you know how big do you wanna call the universe? Maybe if you had been looking more international, it completely changes the equation. But I do think there is something to be said for every opportunity set and just trying to evaluate all right is this cheap on a historical basis. Is it cheap compared to value versus glamor. What is this opportunity set look like and how deep is it? How rich is it? Even sometimes the quality of the business might factor in a little bit in that cheapness. For instance that ’99 2000 cohort you had a lot of very profitable businesses that were being thrown away for cheap. There may come a time where that cohort is not profitable and not economically sound and maybe this is the things you’re talking about that are getting crushed by Amazon and really are zeros. On any kind of longer basis they could be zeros. And I know that you found in your studies that that kinda doesn’t matter. That you still buy the cheapest and actually the stuff that’s most under as far as money going out the door of the business. They actually perform the best because they’re sort of a catalyst I think maybe there. Like man things are really wrong here. We either need to sell or fix it or something. Whereas if you’re sort of profitable and cheap you can sort of bounce along and just kind of waste time and see if you can get to the next round. I mean that’s what you found right? – Well there’s two parts to it I think. Roughly 50 percent of the cheap stocks are gonna go down and they’re gonna get beaten up. And 50 percent are gonna work out. And I think that that’s true of most stocks. It’s just that it’s hard to know which are gonna work. – Because there’s so many parts going on. They’re competing for business so it could be competitor that starts hurting them. They might just be too expensive. Management can do the wrong thing. There’s lots and lots of things that can wrong. So I just think if you’re looking at the entire universe of stocks and there’s lots of stuff that can wrong. For the expensive ones as well as the cheap ones. I’d just rather be in the cheap cohort because when the cheap cohort, when they get it right and that was genuinely mispriced you get such a good return. That’s why that undervalued Quintar Desar Portfolio whatever. That’s why it tends to work a little bit better. But that’s just not been the case for long period of time now. – Yeah, what do you think about the, there’s been a couple books lately that have talked about the intangibles in the economy. And basically that sort of accounting has not kinda kept up with economic reality with so much, you know when you capitalize all the software costs of a company let’s say instead of amortizing them and putting on the balance sheet. You make the company look less profitable. You make the company have less assets basically and they look more expensive potentially because of that. Have you thought about trying to do any adjustments to try to add back some accounting value to a company. To maybe still stay quant but maybe make the adjustment to account for how to world has changed with software raiding the world. – Well I think the O’Shaughnessy guys have done a good job with that stuff. They have made lots and lots of adjustments to the balance sheet. But I think some of that stuff’s hard to know is it the correct thing to capitalize a website or some technology that’s good. Or some computer code that is gonna be earning you money over an extended period of time. I don’t really see why that should be treated any differently to a house that does require regular maintenance. Or a building that requires maintenance. Needs to be built, needs to be some investment. Capitalization might be the correct treatment. – Treatment yeah. Yeah but I mean there’s also the argument of being conservative and also if they’re spending it every year on it to keep this thing up and running maybe it is really like maintenance kinda cap ex and should this be run through the income statement instead of put on the balance sheet. But I don’t know that’s one of those ones that feels like might be right but also like maybe the market already recognizes that. It’s almost the same argument of oh you shouldn’t be buying Russia right now because they have terrible corporate governance or there’s a lot of political uncertainty. Well yeah that’s how you get to a five PE for a basket of assets right? – That’s why it’s cheap. – That’s why it’s cheap right. You could come up with a good reason to throw everything out so maybe this same thing applies to backing back intangibles into your numbers I don’t know. – Well it’s a great question and I’ll have to have you back to ask you sometime in the future because that’s the full hour. Just before we go the book is called The Rebel Allocator by Jake Taylor. It’s available in Amazon. – Yeah Kindle and physical and I’m working on getting an Audible version as well. And lucky for you I will not be the one reading it so you won’t have to put up with my voice. You’ll get a real talented voice actor to do it so it’ll be a much better product. – And this is the book that Charlie Munger loved so much he wanted to see it made into a movie. I read it and loved it. I think it’s a great unusual surprisingly kinda fresh format for what can be a really dry subject. You and I both love capital allocation but it can be a dry subject. I think you did it really well. It’s a fantastic book. I recommend anybody go out there and read it. – Yeah and you read earlier crappier versions too so it’s probably even a little bit better than what you read. – Jake Taylor thanks very much for coming on the show. – Thanks Toby my pleasure. I’m a single guy. I go out and I see a cute girl. I ask for her phone number. That’s taking a risk. Maybe she gives me her number and we go on a nice dinner date together. Maybe she says, no thank you, and that’s okay. Now imagine if I systematically took that risk and kept asking her for her number again and again and again. That’s called ‘stalking’ and it’s not a good thing. That’s bad right. So systematically applying risk in a non-thoughtful way. You take a good idea and you turn something into something very very dangerous. Unfortunately I think in this world of financial engineering we’ve become so enthralled with harvesting risk premium that we lose common sense. Good ideas, when they become dominant become destabilizing. Finance is littered with it. I mean everything from portfolio insurance to mortgage-backed securities. The list goes on and on and on. The current market value of his portfolio is $20,425,534,000. BorgWarner is a Tier I auto-parts supplier that has two operating segments. The engine group makes turbochargers, emissions system components, timing chains, and other items that enhance fuel efficiency and reduce emissions. Engine group products have averaged about 70% of sales. Drivetrain group produces transmission and four-wheel-drive/all-wheel-drive system components that facilitate the distribution of engine torque to the wheels. Wet dual-clutch products enable more fuel-efficient automotive transmissions. A quick look at the price chart below for BorgWarner shows us that the stock is down 25% in the past twelve months. We currently have the stock trading on an Acquirer’s Multiple of 7.34 which means that it remains undervalued. Let’s imagine that we go out and I get incredibly drunk. I get crazy drunk, and I am a passive investor. I’m wandering around aimlessly in whatever direction. But you are my friend and you’re an active manager. Your job is to direct me home. So when I go too far to the left, you bring me back. When I go too far to the right, you bring me back. You’re helping me get home even though I’m a stumbling drunk. Well this is what active investors do. When things become too undervalued they buy. When they become too overvalued, they sell. They’re ‘volatility stabilizers’ and they’re helping to find value in markets. The same way that a sober man is helping to get a drunk man home along an optimum path. This works out wonderfully and you are compensated for your efforts. Now let’s imagine an alternate situation happens. The passive drunk becomes so dominant, so large, that all of a sudden… I’m not 5’10”, 180… I am now 20 feet tall and I weigh 500 pounds. I am a giant and I am drunk out of my mind and you are trying to pull me back to the right path but you can’t. I’m too big. I’m too strong. I’m stumbling drunk but you can’t correct it. This is what happens when passive investors dominate the marketplace. They are a large stumbling drunk that’s just going to roll in whatever direction and the active managers become too inconsequential to correct their valuations. So in either direction, depending on the prevailing mood of the economy, you’re either gonna have wild fluctuations to the upside or you’re gonna have wild fluctuations to the downside. Whatever the prevailing dominant dynamic is. 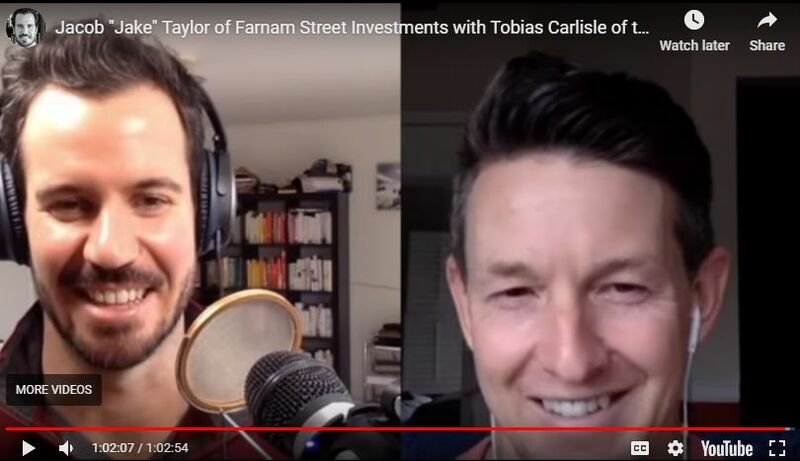 Here’s a great interview with Tobias speaking to Christopher Cole of Artemis Capital Management. Cole runs Artemis Capital, a hedge fund that seeks to outperform in a stock market crash–to “generate opportunity from chaos,” as Chris describes it. Cole launched Artemis Vega fund with $1m and has now attracted nearly $350m of investors’ cash. – Mate, you look awesome. – I think I’m ready, yeah. 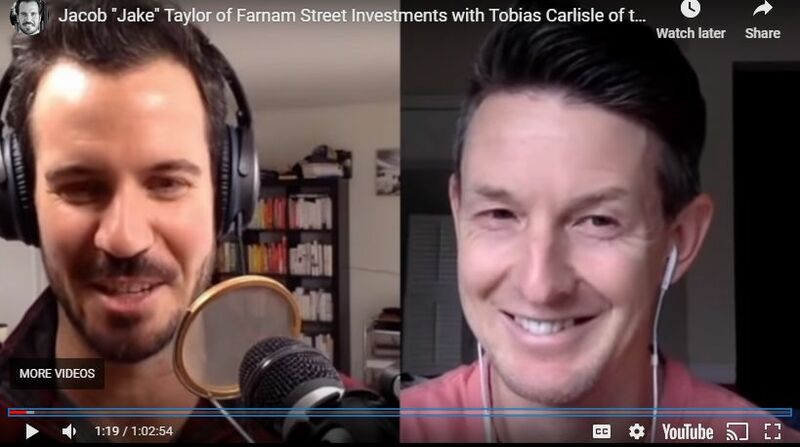 – [Narrator] Tobias Carlisle is the founder and principal of Acquirers Funds. For regulatory reasons, he will not discuss any of the Acquirers funds on this podcast. All opinions expressed by podcast participants are solely their own and do not reflect the opinions of Acquirers Funds or affiliates. For more information, visit AcquirersFunds.com. 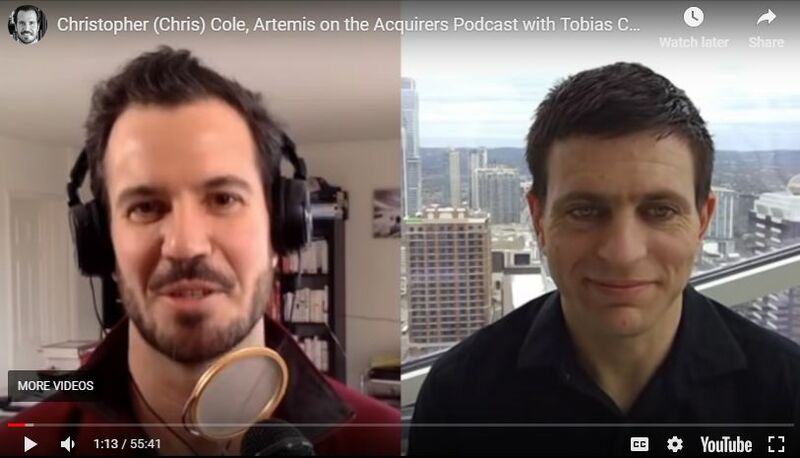 – Hi, I’m Tobias Carlisle and this is The Acquirers Podcast. My guest today is Chris Cole of Artemis Capital Management. Chris is a very old friend of mine. He’s one of the first people that I met when I moved to the States. He runs a firm that has a very unusual strategy. He uses volatility to provide crisis alpha, and we’re gonna explore what those things mean. He literally meditates on risk, so we’re gonna learn a little bit about his meditations and the result of those meditations which is these widely read, brilliant abstract pieces on investing and the stock market. Chris, welcome. -It’s great to be here, Toby. It’s a lot of fun. – Volatility is a really abstract concept just for people who aren’t investing in volatility all the time. I mean, it took me two years of you explaining it to me before I could understand and we’re now nine years later. What is a simple explanation for people who aren’t in the sector? – Well, volatility is just simply change. If you look at what Artemis tries to do, we make money from change. We wanna turn change into opportunity. Change can be on two sides of the equation. You can have tremendous, turbulent, left-tail change, that’s periods like 2008, and that is really damaging to your portfolio, or you can have periods of time where there’s tremendous change to the upside, where there’s a lot of volatility and shifting to the upside. It’s right-tail. We try to profit from both of these different regimes. Certainly, in one case, the left tail can be quite damaging to many institutional individual portfolios, so we try to turn that into an advantage to people where in the event that there is a significant shift in markets, significant shift in regimes in either direction, we wanna be able to turn that into opportunity for our clients so that their livelihood and their institutional portfolios and their spending is not impacted by turbulence in markets. – You describe yourself as a provider of crisis alpha, which is a tail-risk strategy or akin to tail risk but somewhat differentiated from it. Can you explain what that is and how it’s differentiated? – Most people’s portfolio, I have a different philosophy on the world than most mainstream, than what’s taught in most mainstream finance books. 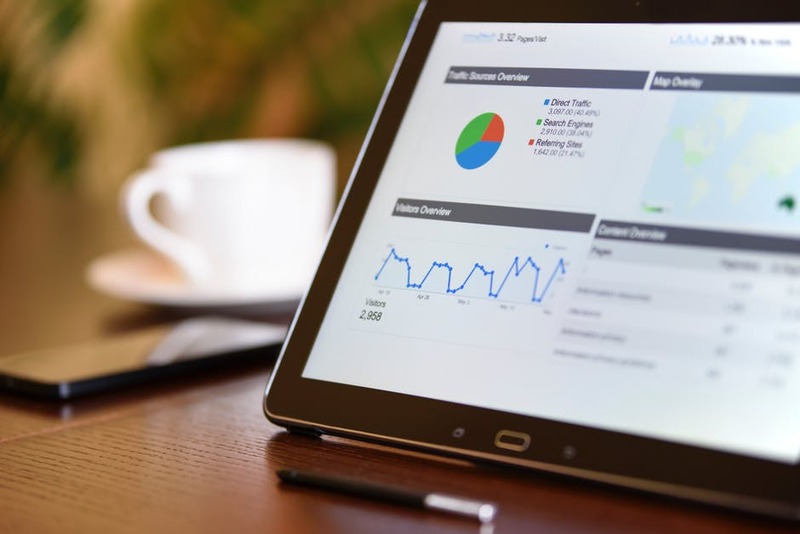 What you’re taught in business school, for example, is that you want a nice diversified portfolio and that diversification is going to provide benefits to you over time. I think that was really proven to be false in the 2008 recession when everything went down together. The problem at the end of the day is that most, people think they have this diversified portfolio of different asset classes, but really, in a crisis, they find out that their diversified portfolio is just 98% levered to long GDP. The way I like to phrase this is that there’s really only two asset classes. There’s short volatility and there’s long volatility. Most people’s portfolio requires stability, requires some sort of expectation of mean reversion to make money. It’s along the overall growth in the economy and the expectation that that growth continues. When you end up seeing some sort of deviation from the recent past, that could be either a massive deflationary environment or a massive inflationary environment, most people’s portfolio is ill-equipped to handle that. That’s the long-volatility asset classes. Most people, 98% of what they have in their portfolio is only exposed to long GDP, only exposed to stability. It’s only short volatility. What we seek is that crisis alpha component, is the being benefiting from change, benefiting from sort of regime change. That regime change could be something as extreme as a depression or it could be something as extreme as a kind of extreme inflationary, markets go up 100 or 200%, and inflation’s up as well, kind of what was experienced in Germany in the 1920s. Both are examples of extreme left- and right-wing change. We want positive exposure to that, and that’s what I would define as crisis alpha. – People typically associate high-volatility regimes with crashes but we have, even in the U.S., we’ve seen high volatility with a market advancing very rapidly in the early 1990s. You say, and this is one of the things that I find most interesting, that I think the thing that most people are afraid of is a gigantic crash, but the thing that they often miss is that hyperinflation or a very high inflation, unusually high inflation, is another possibility and volatility can help in a scenario like that. – Yeah, it’s a fantastic example. Now, one of the issues is that people say hyperinflation. People get this crazy idea of gold bugs and Germany and Zimbabwe. But there’s other less extreme examples of periods where you have extreme volatility and extreme right-tail movement. A great example is the late 1990s in the U.S. You’re in the throes of the dot-com bubble. Everyone was chasing these dot-com stocks, NASDAQ was going crazy. The stock market went up 100% between 1997 and the end of 1999, and volatility averaged over 25 for that period. That’s amazing. To put that in perspective, you know, to put that in perspective, that’s nearly twice the amount of volatility that we’ve experienced in the recent past. And during that period, you had regimes of the market would jump up dramatically and then collapse 20% as well and then go up another 50%. So, this is extreme volatility with extreme movement towards the right tail. Another recent example was China. In the lead-up to their crash in 2015 was a period of extreme right-tail vol. So, everyone’s oftentimes very afraid of the left tail, but they oftentimes forget the impact of how volatility can coincide with, particularly, periods of extreme speculative tops in asset markets, usually incentivized by irresponsible central banking. These are two elements of the volatility puzzle. I think the right tail is something that oftentimes gets forgotten or ignored by people who view volatility as a potential investment. – You’ve been running Artemis in its current form since about 2012. 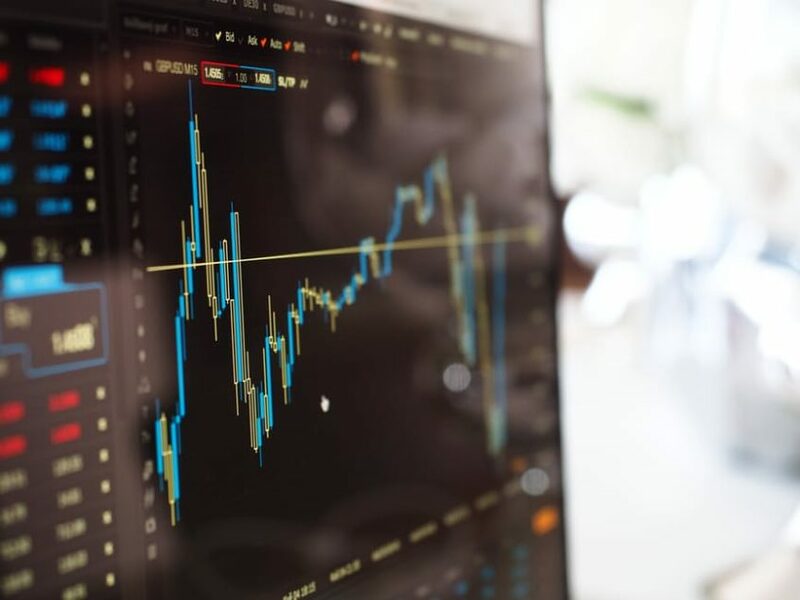 – Before then, you had a slightly different strategy which was to try to implement, as more of an alpha-type strategy, try to generate returns uncorrelated to the market by trading volatility. How have you used those skills and built them into the current form of Artemis and the way that you trade volatility? – There hasn’t actually been that much, there’s been an evolution of my strategies and an advancement of my strategies over time, but I think the philosophy’s always been very consistent. I think the difference is that the period of 2007 to about 2011 represent an incredible period of time to profit from change in markets, particularly the period of ’07 to ’09. The same strategies as applied today have less of return simply because there’s less change. But if we reentered that type of extreme-volatility environment, you would get amplification of those returns that is true alpha. So, the benefit of volatility investing, if you’re gonna invest in a volatility fund, the game plan, the alpha is not, the expectation of alpha is not something that occurs in a consistent day-by-day basis. The idea is to hold the volatility fund through a business cycle, because you’re going to enter into seasons of volatility just like there are seasons in nature, and you wanna capture the transitions between these seasons. I originally was a derivatives structurer at Merrill Lynch and Bank of America, what became Bank of America. In my spare time, I developed a strategy trading the then fledgling market for VIX futures and VIX options. To put this in perspective, if we go back to 2006, 2007, I was running with probably about $200,000 of just personal money and, at times, I was 20% of the trading volume in the back of VIX futures. If anyone knows about trading now, that’s quite funny ’cause that market has expanded quite a bit. But I was able to make large asymmetric gains in the period between ’07 and 2009 through these types of volatility and profiting from change strategies. What’s really interesting is that there was a profit from the regime shift up in vol, which was incredibly massive, one of the largest jumps in volatility since 1987, but also, a profiting from the regime shift down in volatility. I think that’s what sometimes people forget. That provided the seed capital for Artemis. It really took until about 2012 to begin launching an institutional vehicle. As you know, we would, you know, some of the viewers probably don’t know this, but Toby and I would get coffee every day and we had beachfront apartments in Santa Monica, and I was running my little firm out of a beachfront apartment. Now, we have nine employees and a board of advisors in downtown Austin, so it’s expanded quite a bit since then, but they were very humble beginnings and very exciting beginnings back then. So, it’s been a fantastic journey. – And it’s a great testament to the robustness of your strategy that you’ve survived through what has been a very difficult time for volatility, because there’s been not a great, you haven’t really had that gigantic volatility event. Presumably, that’s coming at some stage, you’re not necessarily predicting it but you’re, that’s the nature of markets, that that season comes eventually. – You know, it’s so interesting because you’re in L.A., so it’s always 70 all the time, but, you know, as you know, I grew up in Michigan, and so, if you look at the temperatures in Michigan, they’ll fluctuate anywhere from, I think it was negative 25 just acouple of weeks ago when that arctic blast came down, and then it can go up to about 103 in the summertime. The average temperature’s about 60 degrees, and that average temperature, predictably, occurs at the end of September, as you transition from summer to fall, and of course in the spring. So, I want you to imagine that, imagine that you’re in Michigan, you’re hanging out, it’s August, September, the temperature drops from 90 all the way down to 60 degrees, and then you run around screaming to everyone, oh my goodness, it’s 60 degrees out! This is incredible. What’s happening? This is unprecedented. This is incredible. And, of course, everyone in Michigan would look at you like, um, what’s this crazy L.A. guy doing, right? He’s never… You do know it can get a lot colder. Well, what’s really interesting is last year, we had this uptick in volatility from a truly generational low point in vol. 2017 was one of the lowest volatility years in a hundred years of data. So, you’re in the throes of summer, and volatility went up a bit in 2018, and the media goes crazy. You have all these people saying, oh my goodness, volatility’s exploding and there’s all this expansion of volatility. So, if you look at the average of where volatility’s, if you look at where volatility averages, it’s about 20. And if you look at the rolling one-year average where vol was last year, it barely ticked above 17. So, we didn’t even get over an entire year to where average is. To put this in perspective, volatility went above 20 and stayed above 20 for six years between 1997 and 2004. It was above 20 for close to five years in the great financial crisis. It was above 20 for another five years in the period of ’87 to about 1990, during that recession. So, everyone’s running around, screaming about high volatility, it is analogous to, you know, screaming about how cold it is when it reaches 65 degrees in Ann Arbor, Michigan, where I’m from. The difference here is that seasons in markets last around the debt cycle, they last about three to four years. Seasons in nature last about three to four months. We have been, due to central banks, in a substantially prolonged period of summer. That’s what’s been unusual. But the volatility we experienced last year is actually just below average. – So, the average is a little bit misleading simply because you have those enormous spikes. It’s a little bit like the old joke about the guy who’s got his feet in the oven and his head in the refrigerator and he says, on average, I feel pretty good. – You’re 100% right on that. But even if you adjust for that asymmetry, even if you adjust for that asymmetry, there’s nothing particularly unusual about 2018. – In a full sense. 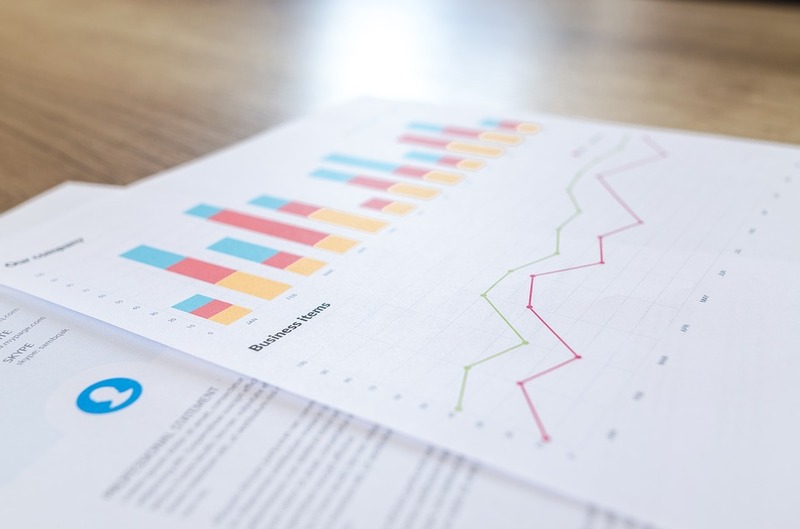 – Your strategy is not at all about predicting volatility events, and we’ve discussed at various times when I’ve said, do you think that this is, is this the big one? It might surprise people who, you sound like a bearish guy, but you’ve often been quite, your view is, in many of those instances, it wasn’t, and it’s been borne out every single time. What sort of inputs, or how are you making those judgments? – It is interesting, I should clarify. We have some models that are arbitrage-based and the legacy models that are on Artemis have been arbitrage-based in the sense that, and what that means is that, you know, if someone comes to you and says, you drive a lot, you live in L.A., what if I give you car insurance for the next week and I’ll pay you a dollar to own car insurance? Would that be interesting to you? But only for the next week. And you’d probably be like, sure! You’re like, oh, here’s a dollar, and you get car insurance. There are some times in markets where you can structure positions where you’re paid to own insurance against extreme outcomes. You’re actually paid to own that. A lot of our strategies have been based around taking advantage of that. As time has evolved, we’ve been applying new strategies that use data science in many ways to have a predictive edge. In this sense, we look at, I like to use another Los Angeles analogy, you know, the fires in Malibu. You can never predict the spark that causes a forest fire, but what you can do is, if you wanna look at forest fires, you look at underlying conditions that lead to them. So, you know, things like dry heat, high winds, these are all underlying conditions. And when those underlying conditions are in place, if a spark does emerge, it’s likely to transform into a forest fire. Well, we’ll use data science and a lot of domain expertise combined with new analytical techniques in order to scan markets for various macro factors that have a pattern mashed onto previous periods of financial stress, and then we’ll use that to price and size options. That’s been, I think, a very effective method, particularly over the last year. What are underlying conditions that lead to volatility fires in the market? These would be things like breakdowns in FX and carry trades. They’d be things like changes in different cross-asset correlations. One that was particularly relevant last year was divergence in the movement of interest rates and different equity prices. Any one of these things may be not enough, but when multiple of them are happening at the same time, based in a prediction, in a predictive algorithm, then you can use that to buy insurance effectively ahead of a volatility fire. – It sort of begs the question a little bit, what do you see right now at mid- to late February 2019? What’s your view in the short term? – It’s interesting. My personal view on the long term and what our models show right now is actually a pretty benign environment for volatility. And if anything, the risks are more, and I say risk, risk is an opportunity, are more skewed towards markets exploding upwards than downwards at this particular juncture. But that’s a short-term view. And when I mean short-term, I mean really the next week to two weeks. I think from a personal standpoint and in looking at it from a macro standpoint, certainly the, what central banks have, the about-face that central banks have done and what Powell has done certainly has caused a huge run-up in markets this year. I think the S&P nearly has a Sharpe ratio of five this year. If we think about, it’s crazy, it’s amazing actually, because all of a sudden, the world’s ending in December, and then they decide not to raise rates, you know, 25 or 50 basis points, and then all of a sudden, everything’s good again. In the short term, this can work, but if you look longer-term, it’s not a lack of central bank stimulus sometimes that causes big crises. It’s a build-up of speculative debt and leverage. Right now, the build-up in debt and leverage is at historic proportions. Corporate debt-to-GDP is about 47%. It’s never been greater. And so, even though in the short term, you can have the stimulus injection, I think in the long term, the market cannot be continuously sustained by companies issuing debt and buying back shares and continuous debt expansion. At some point, there is a limit to that. I think if you study previous periods of crisis, you’ll see that same pattern. It’s oftentimes not been, it’s not been a fact of a lack of stimulus that has caused an economic slowdown, but oftentimes a build-up of debt that becomes unsustainable in any type of basic business cycle pullback. – You’re an incredibly creative, analytical guy, which is an unusual sort of combination to find in one person, combined with that phenomenal work ethic of yours, you’ve produced these incredible think pieces, for want of a better word. I’ve loved reading them when they’ve come out. I’ve often found that the best way to read them is jet-lagged or after a glass or two of wine. I swallow the whole thing in one go. Your most recent one is a riff on the David Foster Wallace, What is Water? So, what is water in this context? -You know, it’s funny because I wonder how much of these… I actually really miss the old days of going down for coffee and sometimes on aFriday night, going for wine. Imagine how many of these ideas have been tested onyou before they’ve come out or how much I’ve, and vice versa, how much I’ve absorbed from your wisdom and your worldview. Either quite consciously or subconsciously, you’ve been a coauthor on many of these pieces. For people who don’t know, Toby’s the first guy that I would run ideas through and one of the most valuable minds in terms of being able to think abstractly about these things. There’s a wonderful kind of parable that was talked about in that commencement speech. If someone has not listened to it, I think just take 20 minutes of your life. It’s sort of a life-changing speech. He talks about the concept of two fish, swimming, and they’re swimming along and they come across an older fish, and the older fish goes to the younger fish and he says, well, how’s the water over there? The two young fish are like, what’s water? In many ways, we exist in a world of abstraction and the medium becomes our reality, so much so that we don’t even see the medium. This metathinking experiment can be taken very broadly. But I think one of the key things that, one of the key things for me to understanding volatility, and then understanding that the market crashed the way it did in ’08, and be able to hold volatility through that, was this realization that money didn’t really exist. It exists, it’s a medium that is important and that we derive our livelihood from, so it exists in that sense, but it really is only a human thought abstraction, and that if people lose faith in money, it ceases to matter. There’s many historical examples of that. The same thing could be said across numerous different institutions and things we take for granted. Democracy only works because we have a collective belief in it. A government only works because we have a collective belief in it. If that collective belief vanishes, the medium vanishes. So, in that sense, we have to imagine ourselves as fish swimming in water, and real volatility is not necessarily a, the true volatility is a situation not where there is turbulence in, or waves, that’s one form of volatility. True volatility is actually understanding that the medium itself can be taken away or can evaporate, where all of a sudden you’re a fish outside of water, gasping for air. I think in my latest, the piece from last June, the discussion around that was the fact that we’re actually seeing a significant degradation in liquidity in the stock market, which is absolutely scary, in that sense. I think people talk about the volatility event in February and they talk about the VIX spiking up and what happened to the VIX ATP is, sure, that’s alarming, but I think what’s more alarming is that you could, on February 5th, have put an order in for just $30 million worth of E-minis and moved the whole market. You had people who, fund managers who had been in business trading futures and options for 25 years who say they couldn’t believe how bad the liquidity got in what was a relatively small move in markets. I think this is one of the big risk factors that people are not really thinking very much about, is that you have these ETFs that are backed by a liquid underlying. You have, in many instances, some of the ETF providers are almost acting like shadow banks in this role, in this liquidity mismatch. You have companies buying back their shares at record paces, a trillion dollars of share buybacks, and, in a very literal sense, the stock market volume is back to where it was in periods, the late ’90s. So, the stock market is actually self-cannibalizing. As a result of that, you also have regulatory rules that have inhibited other players in stepping forward to provide liquidity and the high-frequency players are kinda like shadow market makers. They’re there most of the time, but when there’s a crisis, they step back, and it provides this artificial kind of trust so that there is this liquidity that seems to be there until it’s not. When you’re looking at this confluence of events combined with accessible leverage in the global economy right now, this is an interesting scenario where we may actually see significant disruptions in the very medium of the market itself, which could leave investors gasping for air when the water, the water, very medium that we use to transact, evaporates. – There have been crashes in the past and the nature of a crash is that a lot of liquidity disappears. Is this a new phenomenon? Why is this something that’s on your radar now? – Certainly, liquidity drying up is not a new phenomenon. I think what is a new phenomenon are many of these, the fact that many of the new regulatory rules and the fact that the ETF landscape and the fact that now the, another thing that I did not mention initially here is also the fact that most investors are now passive. We’ve crossed the 50% barrier where most people are now passive. So, we take for granted that these instruments and we take for granted this liquidity but in many ways it’s phantom because, and a lot of these structures have not been tested in a real crisis or in a situation where central banks aren’t providing ample liquidity. This is not an end-of-the-world scenario. I’m not pointing out, I’m not trying to sit there and say that the whole stock market’s gonna collapse tomorrow and that you should run and go get gold and guns. That’s not what I’m saying. These are risks and we’re pointing out risks. When liquidity dries up the way it did on a 4% down-move in markets, that’s something, I think, if you’re an institutional investor or even someone, an individual investor, should take notice or be aware of and understand that there are different strategies, long-volatility is one of them, but other strategies that benefit from change that may be good diversifiers to protect against that type of liquidity risk in this type of regime. The past investing situation is something that’s really interesting topic to talk about as well but we can get into that a little bit later or, I didn’t mean to interrupt your question. – No, no. That was where I was going. I was just going to ask you about, there have been a proliferation of ETFs that have, and the attraction to them is that they’re so liquid and trade through the day and the underlying trades through the day but it’s easy to see that there might be a mismatch between those two things. That was what I was going to ask you. I mean, specifically in volatility, there have been, volatility ETFs seem to be, I mean, short-volatility ETFs in particular, because they have that return stream that basically they make a little return every day, pretty consistently, until Taleb’s turkey farmer comes and chops off their head and we’ve seen that recently with VXX exploding. – is passive, you’d think that active investors should be having a field day. So, let’s imagine this. Maybe this goes back to some of our old days, having wine down on the beach in Santa Monica and talking markets. Let’s imagine that we go out and I get just incredibly drunk. I get crazy drunk. I am a passive investor. At this point, I’m passive. I’m wandering wherever, aimlessly, right, aimlessly in whatever direction. But you are my friend and you’re an active manager. Your job is to direct me home. So, when I go too far to the left, you bring me back, when I go too far to the right, you bring me back and you’re helping me get home even though I’m a stumbling drunk. Well, this is what active investors do. When things become too undervalued, they buy. When they become too overvalued, they sell. They’re volatility stabilizers and they’re helping to find value in markets, the same way that a sober man is helping to get a drunk man home along an alpine path. This works out wonderfully and you are compensated for your efforts. Now, let’s imagine an alternate situation happens. The passive investing, the passive drunk becomes so dominant, so large, that all of a sudden, I’m not, I’m 5’10, 180, I am now 20 feet tall and I weigh 500 pounds. I am a giant and I am drunk out of my mind and you are trying to pull me back to the right path. But you can’t, I’m too big. I’m too strong. I’m stumbling drunk but you can’t correct it. This is what happens when passive investors dominate the marketplace. They are a large stumbling drunk that’s just going to roll in whatever direction, and the active manager’s become too inconsequential to correct their valuations. So, in either direction, depending on the prevailing mood in the economy, you’re either gonna have wild fluctuations to the upside, or you’re gonna have wild fluctuations to the downside, whatever the prevailing dominant dynamic is. So, according to this theory, as the market, according to Green’s theory, as the market becomes more and more passive, volatility will amplify and market instability will amplify but the volatility could be right- or left-tail, we’re not saying volatility means a crash, we’re saying it could be right- or left-tail, but inevitably it makes the market highly unstable. So, you know, Vanguard and what they call the Bogleheads, the people who are the efficient markets people, they preach the gospel of efficient markets in the temple of passive investing, but what you can prove, analytically and quantitatively, is that when the, and that’s not a bad idea, when there’s a balance, but when the market becomes dominated by passive, ironically, it becomes, the passive investing drives market instability and market risk. So, like I say, this could be, if we see this trend continue, we should see a trend towards either right- or left-tail vol. I’m not saying the world’s gonna end, I’m not bringing out my sickle and saying that everything’s gonna collapse, but it should lead into a period of enhanced high vol on either tail. – There could be a crack-up boom is what you’re saying as well. It could be an event where the, we have a late-1990s-type scenario. – Easily, yeah. Or a crack-up boom followed by a crash. It is impossible to predict because a lot of it is driven by what, you know, if central banks want to print more money and then there’s speculative fervor, you could have a massive crack-up boom, or you could have a collapse in the event that people are not able to service their extraordinary debt obligations. Either way, I think what we are going to see in the next 10 years, particularly if these trends continue, is an amplification in volatility. What I’m saying is that you can make money on change, on playing either tail, and that when we see these trends coming, we see these trends coming, what looks best in the rear-view mirror are short-volatility trades that have made money from mean reversion. And if you’re in an institutional portfolio, those look very attractive because they have fantastic three-year Sharpe ratios or four-year Sharpe ratios. But this next regime is very likely to benefit strategies and active managers that focus on change, but change can be involatility or regime shifts, but that change could be on either tail of the distribution. It’s important not to fixate on just one. – Let me just go back a little bit to the analogy of the drunk and the explosion in passive investing. Passive investing simply means that a strategy tracks an index. Indexes aren’t necessarily S&P-500-style market, cap-weighted index, which I think is what you’re talking about because in that style of index, if something becomes overvalued, more money flows into it. It becomes bigger so that the companies that are the biggest and the most overvalued attract the most money, which is why any strategy that’s sort of even an equal-weight strategy has historically done, has outperformed that market-weight strategy because an equal-weight strategy looks a little bit more like a value-investing-type strategy, it just pays less for earnings and assets and so on. My intuition about active investors in that kind of environment is that that’s a good environment for them because, you know, let’s say that I’m not your friend on the way home from the bar when you’re stumbling drunk and let’s say I wanna pick your pocket which is kind of what active investors are trying to do when those movements occur, I’m not necessarily wanting to short the very biggest but I might wanna buy the very smallest, and to the extent that they don’t attract capital and they stay undervalued, from my perspective, that’s a good thing. I’m interested to know, I’m sort of challenging the assumptions a little bit, what is the nature of the passive, in one instance, and why don’t active investors benefit from them? – The concept at the end of the day is that absolutely, absolutely, there should be some correction in that. But what’ll happen over long periods of time is that the active investors are just not big enough to cause a correction and correctly value. If you identify something as being misvalued, let’s just say you decide to buy a Princess Diana Beanie Baby in 1999 for $2,000 or $45,000, but if money keeps, now that’s obviously, you could sit back and say that’s absurd, actually, that’s not a good example. Let me take a step back. Let’s just go back to what businesses you can actually value, something that has cashflow. Something’s undervalued. It’s wonderful that it’s undervalued but unless there’s some sort of a realization of that undervaluation, you can’t monetize your correct understanding of the world in that. Or if something is overvalued but money keeps flowing into that, then it remains overvalued and if there’s not enough active investors to self-correct it, you end up running through problems. I talked to one individual who was a sector specialist. He was an absolute, I can’t say who he is, but he’s a very well-respected hedge fund manager who runs a boutique firm that he does short selling in a specific sector, and he has a fantastic track record. He was lamenting how difficult it’s been to short sell some of these stocks. You’d have situations where the stocks would, there’d be outright fraud in a particular stock and it would keep going up. He had never seen this in his entire career. He felt that the indexation, and some of these stocks that he was trying to short were indexes, he felt like the indexation was actually a key factor in driving this, that money flows were pouring in to these ETFs that were just allocating to these stocks because they had a certain level of liquidity, and that was propping them up regardless of any understanding of the fundamentals. He’s the smart guy trying to pick out the overvalued stock but he’s not able to realize his gains because the dumb money keeps flowing in en masse. That’s part of the problem. If that drunkard is so big, there’s just no way to self-correct it, until he falls off a cliff anddies. – I have some sympathy for the view because you can certainly see, last year, for example, I think that the market cap-weighted S&P 500 outperformed its equal weight counterpart and that has been, that has occurred more frequently over the last few years. That’s an unusual thing, that’s an unusual event. Certainly, over the last few years, S&P 500, the strongest one, or the U.S. stock market’s just long-only market cap-weighted some of the strongest performers in the world and any hedging or any global exposure outside of that has led to underperformance of that. I sometimes wonder whether this is a, and you may be saying that this is, it’s the fact that we’ve now tipped over that key point at 45% of the market becoming passive, because it’s something that, I certainly remember there were articles in the late 1990s, in 1999, talking about, there were companies that didn’t even get picked up by the Russell 2000 so there were, some Russell 2000-ists that is, in the largest 2,000, it’s the smallest 2,000 of the largest 2,000, so the smallest companies are quite small that fall outside that, and they said the market for these companies is gone. There’s no bid for them anymore because so much money’s focused in the indexes. The authors of that article posited the only way that these companies would find returns was in takeovers and going private. As a fundamental value investor, that excites me a little bit that you would find these incredibly cheap companies and could foment change and create some sort of, create some sort of event that would drive some returns there. But that is a concern, perhaps, that there is that tipping point. Do you have any idea why 45% is a magic number or 50% is the magic number? – It was interesting ’cause I ran a simulation, I developed my own simulation that looked at active and passive agents and created a simulated market, and then looked at that evolving over time. I actually presented that in that June paper, I think. I did that work and I came up with that approximate level. Actually, in my paper, it was about 60%, but I assumed that the active-to-passive level remains consistent throughout. If you actually adjust where active managers are fired for passive, then the level begins to shift down, which is interesting. Mike Green did a similar analysis and came up with practically the same numbers. That’s what was so fascinating about it. We’re coming from two independent, both of us were programming our own simulated environments to try to test this theory, and both came out with approximately the same, slightly different but very similar levels. Why is there that level? I think it’s just like anything else. There’s an equilibrium that is matched and when you have a system on the edge of healthy equilibrium, when you tip over that equilibrium, it’s enough to destabilize. And figuring out where exactly that tipping point is is a science in and of itself. Now, we’ve run these models or simulated models, it’s very difficult to then apply that directly to the global economy because there’s many more variables that come into play, but it certainly is something interesting to at least prove, on a theoretical toy model basis, that there’s validity to the theory. But I think, everyone talks about passive investing as market efficiency, and this goes to what you’re talking about with the Russell and also with the market capitalization-weighted, what it actually is is a form of momentum investing. It’s a form of liquidity momentum investing when it becomes the dominant form. We’re not talking about the Bogle passive investing back in the ’90s when it was kind of a revolutionary, throughout the ’80s and ’90s, it was a revolutionary concept in being adopted. But finance has this wonderful way, and this is something that Jim Grant has very eloquently said, it takes a good idea, puts it to the extreme, and then that good idea, what initially starts out as a good idea, becomes a very dangerous thing when it’s taken outside of the middle path and becomes the dominant thesis. In 1987, everyone blames portfolio insurance. There’s nothing wrong with portfolio insurance when you have one or two guys doing it. When it’s done en masse by every major institution, it becomes a massive source ofinstability. – Right, so each individual actor could be doing what is rational, but aggregated it becomes an irrational behavior that leads to adverse consequences in the market. – That’s right, yeah. I was trying to explain this. In 2000, I think it was in 2016, or actually early 2017, there was a debate that we had with actually the guy who, who essentially created XIV and was the CIO of XIV. He was saying you guys just hate risk, you don’t like risk, you’re afraid. But no, no, this isn’t about risk. Taking risks and taking risk premium is not a bad thing. It’s a good thing, right, it’s a good thing. It’s when you systematically apply something nonstop that it becomes a bad thing. And then I said, well, it’s like this. I’m a single guy, I go out, and I see a cute girl and I ask for her phone number. That’s taking a risk. Maybe she goes, she gives me her number and we go on a nice dinner date together. Well, maybe she says no, thank you. And that’s okay and I go on. Now, imagine if I systematically took that risk and kept asking her number again and again and again. That’s called stalking and it’s not a good thing. That’s bad, right? So, systematically applying risk in a non-thoughtful way, you take a good idea and you turn something into something very, very dangerous. Unfortunately, I think in this world of financial engineering, we become so enthralled with harvesting risk premium that we lose common sense. And good ideas, when they become dominant, become destabilizing. Finance is littered with it. I mean, everything from portfolio insurance to mortgage-backed securities. The list goes on and on and on. – Look, I think that’s a perfect place to end at. Chris, thanks so much for giving me the time. I certainly appreciate it and I hope the listeners have learned something today. – Yeah, thank you. I really enjoy it. Just like having a, just like old times, actually. – I look forward to another one in the not-too-distant future. – Absolutely. It will be a lot of fun. We’ll see you soon. Have a great one, Toby. 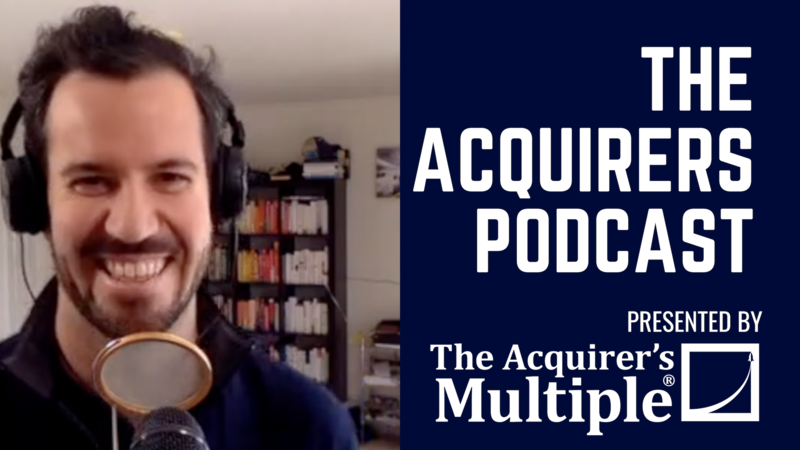 We’re launching a new podcast called The Acquirers Podcast. It’s about finding undervalued stocks, deep value investing, hedge funds, activism, buyouts, and special situations. We’re going to uncover the tactics and strategies for finding good investments, managing risk, dealing with bad luck, and maximizing success. Methanex manufactures and sells methanol. Methanex’s customers use methanol as a feedstock to produce end products including adhesives, foams, solvents, and windshield washer fluids. The firm also sells its products to the oil refining industry, where the methanol is blended with gasoline to produce a high-octane fuel or blended as a component of biodiesel. Methanex distributes its products through a global supply chain that includes the operation of port terminals, tankers, barges, rail cars, trucks, and pipelines. Europe generates the most revenue of any geographical segment. A quick look at the price chart below for Methanex shows us that the stock is up 3% in the past twelve months. We currently have the stock trading on an Acquirer’s Multiple of 6.99 which means that it remains undervalued. The current market value of his portfolio is $2,419,944,000. And like every addiction, the acquisitions habit exacts a heavy toll from its abusers and those who rely on them. The dilemma comes down to how companies generate growth. 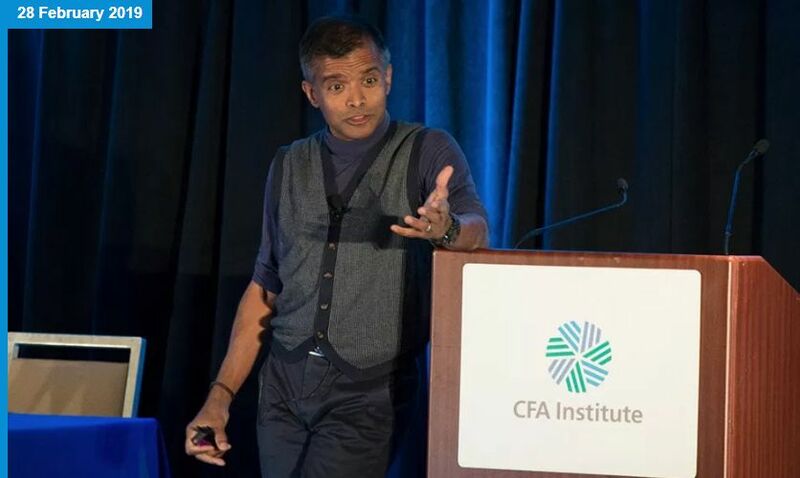 And it turns out there are really only a handful of strategies that can accomplish that, Damodaran said, referencing data from a McKinsey study. What is the very worst way to grow? “Go do acquisitions,” he said. Why is that? Because acquiring companies tend to overpay. By a lot. We value businesses like we’re a private equity firm. That’s what stocks are. They’re not pieces of paper that bounce around that you put Sharpe ratios and Sortino’s on, or other fancy ratios. They’re ownership shares of businesses that you value and try to buy at a discount. Whether the market rewards us for our valuations in the short term we ignore because that’s what stocks are. I actually have taught at Columbia for 23 years and I make a promise to my students first day of class. I promise them if they do good valuation work the market will agree with them. I just never tell them when. Could be a couple of weeks, could be two or three years. But that is the secret. To have a steady disciplined process to value companies and to be confident enough to stick with it when it’s not working in the short term. The market is very emotional in the short term. We try to ignore the noise. BECKY QUICK: I know you’re like Dr. Spock. You’re completely emotionless, when it comes to dealing with market moves. But is there any part of you that gets a little queasy, when you see that you’ve lost $4 billion in a day? WARREN BUFFETT: Not in the least. No. I mean, it makes me– assuming I like the business. It depends which ones they are. But overwhelmingly– during the fourth quarter that things were going down, A, they were buying out their own stock. So I’m actually making money that day, you know, without laying out a dime. And then secondly, I can buy more of some, although a lot of ’em, I’ve got that 10%– problem with. But I– mean, there are certain stocks I would’ve kept buying, except I was bumping up against– the 10%. But no, I– mean, if you paid X dollars a pound for hamburger yesterday, and you go in today, and now, it’s at 80% of X, maybe you have a little hamburger left in your refrigerator or something. Do you tear your hair out over that? Or do you say, “My God, you know, this is terrific. The price is cheaper”? What– else in the world don’t you like to buy cheaper than you’re paying the day before? WARREN BUFFETT: If you’re gonna– if you’re gonna keep buying it. BECKY QUICK: That’s a very logical way of looking at things, (LAUGH) very rational way. Micron has historically focused on providing DRAM for PCs and servers. The firm has expanded into the NAND flash memory market over the past decade. It increased its DRAM scale with the purchase of Elpida (completed in mid-2013) and Inotera (completed in December 2016). A quick look at the price chart below for Micron shows us that the stock is down 6% in the past twelve months. We currently have the stock trading on an Acquirer’s Multiple of 2.95 which means that it remains undervalued.